Amazing book on hard topic. This book will help you get through those difficult social situations; and with Humphries's humor and style, you'll laugh all the way to Grandmother's house. 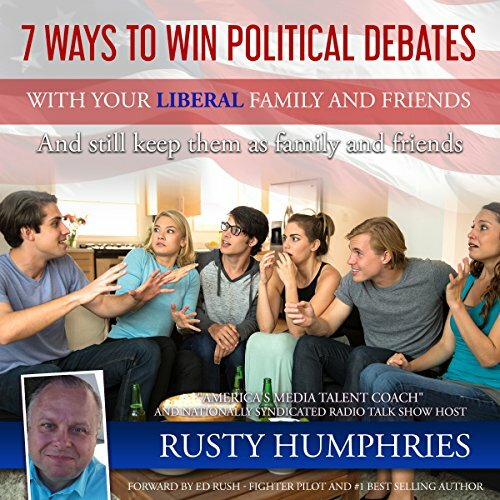 At a time when politics can take on too big of a role in our relationships, Rusty gives us great advice and usable tools to help keep these relationships, without compromising our values. Rusty Humphries has come up with a creative and fun way to debate family and friends during this divisive political climate. Not only is the advise helpful and excellent, but Humphries delivers with a refreshing, humorous style unlike anyone else. I really enjoyed this book. Rusty hits it out of the park! I enjoyed the book tremendously. Rusty's delivery was magnificent. I found the material to be informative, entertaining, very funny, and deadly accurate. 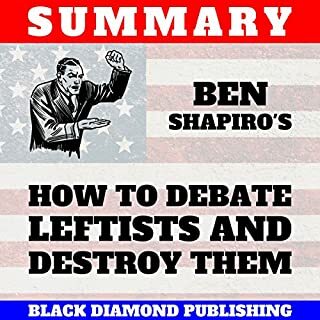 You need this book to combat the snowflakes of the left. This is the anti-Saul Alinsky of our time. Well done, Rusty! Excellent tips for letting liberals trap themselves with their own words! We all know a discussion with a 'tolerant and open minded' lib goes nowhere. Let them do most of the talking and give them a quick verbal upper cut when they have their noses high in the air . They call you racist, they unwittingly show their racism ;you smile and nod til their hypocrisy is displayed for all to see. The same goes for all the usual accusations they make. what you accuse others of is often what you dislike about yourself. buy this book! This book will do exactly what it says. 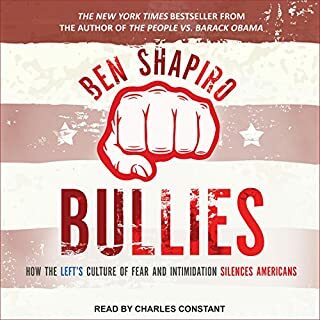 If you have a family member or friend who just love trying to get under your skin and wants to try and bash on you because you are a conservative and you would rather not engage at your family outings or gatherings with your friends than you need this book!!!!! Would you listen to 7 Ways to Win Political Debates With Your Liberal Family and Friends again? Why? Yes! Not only is the information invaluable, I'd listen to laugh at the stores alone! Señorita CRAZY! She reminded me of some typical people I know and I loved how it ended with her! Without giving too much away, I will remember how to "set a trap". Humphries surpasses expectations here with this wealth of information. His likable personality shines through in this easy to read gem. You'll find yourself chanting, "FINISH HER!" in true Mortal Kombat style at the end! Great read!!! Rusty’s book is both funny and informative. 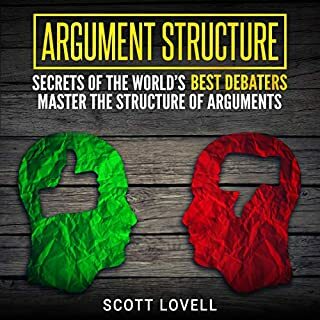 He shares a way to win left-right debates by choosing the degree to which you engage (avoiding the conflict when appropriate) and keeping in mind that total defeat of the opponent does not always mean a victory. What made the experience of listening to 7 Ways to Win Political Debates With Your Liberal Family and Friends the most enjoyable? It is a great company while you are going for a walk or a run. When he played the audio of Tucker Carlson. What about Rusty Humphries’s performance did you like? Yes, he was great and funny. 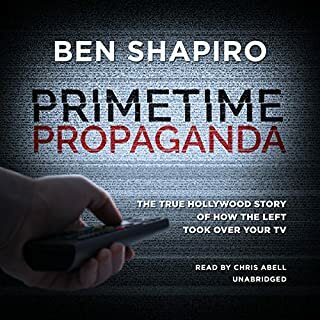 This audiobook was great, it really make you think about the hard times with some of our liberal family or friends. I enjoyed a lot all the steps and the explanation Rusty Humphries gave in a very unique way. He quoted the people he admired, one of them Tucker Carlson. I agree with almost everything is in this book. I intend to follow Humphries advices, especially the one about picking your battles and not falling in traps. I hope to listen more Humphries audiobooks in the future. 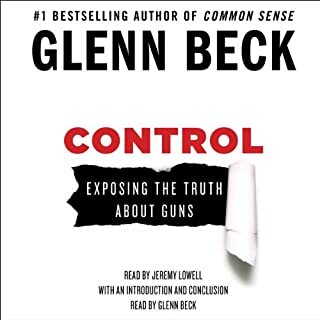 This is a great Book filled with logic and humor. If you could sum up 7 Ways to Win Political Debates With Your Liberal Family and Friends in three words, what would they be? What other book might you compare 7 Ways to Win Political Debates With Your Liberal Family and Friends to and why? 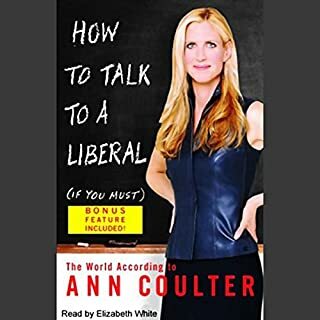 I would compare this book to Ann Coulters "How to talk to a Liberal if you must". Both books settle the argument that what the liberal brings to the table is pointless, and insignificant. You both make them sound absurd. My favorite part of the book was when Rusty gets a little emotional about his Fathers Military Service and goes full Patriot on the "crazy" Liberal. I will always remember him saying "void of your personal emotions". This is the hardest thing to do as I believe it is hard to cut off your emotions. Rusty explains it very well.